This show broadcasts on February 20, 2015. Is Hollywood – that Zionist-controlled dream factory – manufacturing our nightmares? Is their latest international reality TV show called “Evil Muslim Terrorists Hate Freedom and Jews (Not Necessarily In that Order)”? Are they staging scripted and storyboarded events to reinforce their narrative and brainwash the West into waging an endless war for Israel? 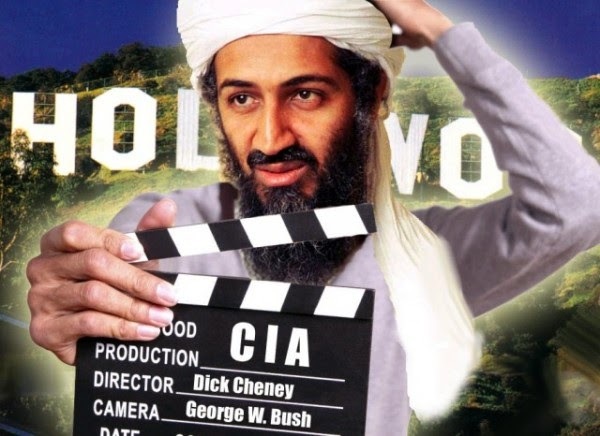 Has Operation Gladio, NATO’s false flag terror brigade, been taken over by Hollywood Zionists? This entry was posted on Wednesday, February 18th, 2015 at 10:46 am	and is filed under 9/11, Anti-War, Censorship-Propaganda, Disaster Capitalism, False Flag/Fake Terror, Freedom, Justice, Kevin Barrett, Mind Control, News, Protest, Surveillance, War Crimes. You can follow any responses to this entry through the RSS 2.0 feed.